It was the early 60s and Noeline Thomas’s three children, Grant, Jackie and Brent were entering their teens. She wondered what new interest she might take up now they were more independent. Noel, in the way of husbands in those days, had his own views on this. He told her she could “ have another baby, get a poodle on a string, take up golf, or start a business.” He was suitably surprised when Noeline opted for the business. Given her cooking skills a café seemed a logical option. 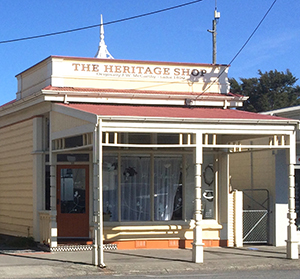 There’d already been milk bars in Martinborough and a teashop in Pain and Kershaw’s so she decided on something different and certainly not common at the time. A coffee bar. March 15, 2019 March 2019 Comments Off on An electric car anyone? At the end of 2017, the average emissions of light vehicles registered in New Zealand was 179.3g CO2/km. Compare this with the average emissions level of a new car sold in 2017 in the European Union of 118.5g CO2/km. It’s a big difference. 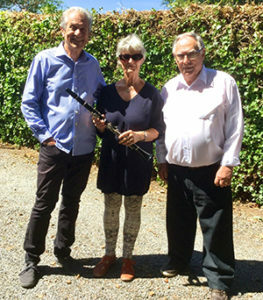 Readers may remember the article (Star/December/18) about Martinborough School pupil Dion Luimaihetau being taught, by Euan Huggett, to play a clarinet donated by Mark Walton, a participant in last year’s Festival. Now Maree Roy whose daughter, Melyssa, learned to play the clarinet from the age of 7 is donating her clarinet to the Festival team. What do you get when you combine a bach at Riversdale and a couple of craft-loving friends? If you go the corner of Cambridge Terrace and the Square on Fair Days you’ll find out. That where friends Ramona McDowell And Pip Hermansson sell their eye-catching Pacific themed homewares. Their business started small, selling crafts from the front lawn of the bach during the summer holidays. They had no plans to do more than that. They just enjoyed making things. The idea to do Pacific designs came from Pip. She’d been on a holiday to Fiji and found herself wanting to “bring her holiday home again”. 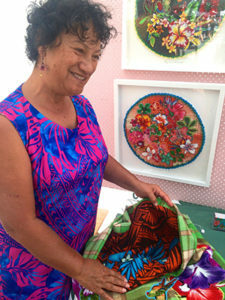 She made some cushions to brighten up her own house, visitors admired them and soon the two friends found they were running a small business. Pip took some samples down to Wellington and was amazing at the enthusiastic response from retailers there.